all of these things are beautiful but my actual favourite is the wheat necklace so wouldnt it be perfect if I owned it? Gosh this is lovely, I actually like the wheat necklace best, myself! Wow, all of the pieces are amaing! Looking at them you can tell how much work went into them. Timeless. If I'd have to choose, I would probably say that Pector is one of my favorites! Thank you so much for a chance Anabela! This giveaway is pretty special! So pretty! 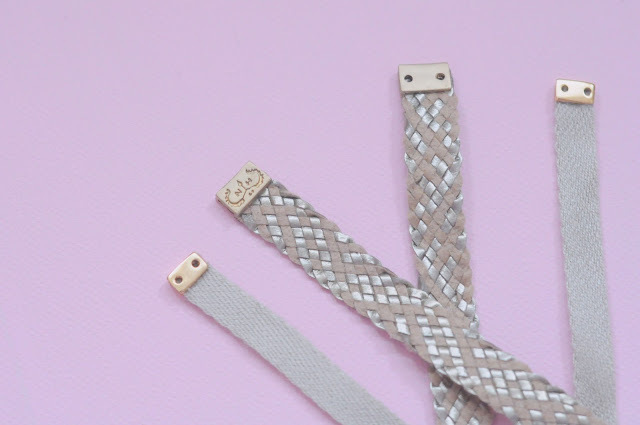 My favourite is a tie between the wheat necklace and the sail ring. Oh my! So beautiful, how can I pick a favorite?! I would say either the wheat or the lion necklace! I was stunned by the wonderful piece you posted in your Instagram, and it is too my most favorite next to the SCALES piece. I would LOVE to enter the giveaway, thank you so much for giving us the chance to get our hands on one of those beautiful pieces. The wheat necklace is so gorgeous! They are so beautifully crafted. My favorite item would probably be the lion necklace! also the Veil ring is amazing too! oh wow, as I was scrolling down I was thinking "that wheat necklace is the most gorgeous one!" and lo and behold-- it's the one you're giving away! Fingers & toes crossed on this one! Beautiful pieces! I love the rings and especially the wheat necklace. The wheat necklace is beautiful! The wheat necklace is so precious, whoah. I'm completely blown away by this collection! Every piece has such a chic strength and powerful presence. While they're all captivating, the Scales necklace takes the cake; my jaw dropped. That being said, my goldenrod complexion would be more than happy to harvest the Wheat necklace, naturally. Oh! and I did followed N. Historiae on twitter too! The scales necklace is my favourite! The entire collection is gorgeous, but I must say the Scales necklace is my favorite. The black detailing is exquisite and the asymmetry is perfection! Thanks for the chance to win something so special, Anabela! That wheat necklace *is* my favourite! I'd love to see this stuff in person - you can tell even in photos that the craftsmanship is incredible. I like the lovely Sail Ring. The lion necklace is amazingly perfect, because roar. The Wheat and Lion necklaces are my favorites. Absolutely beautiful! Wheat is actually my favorite, but I love Pector, too. These are stunning. That Scales necklace made my heart skip a beat! 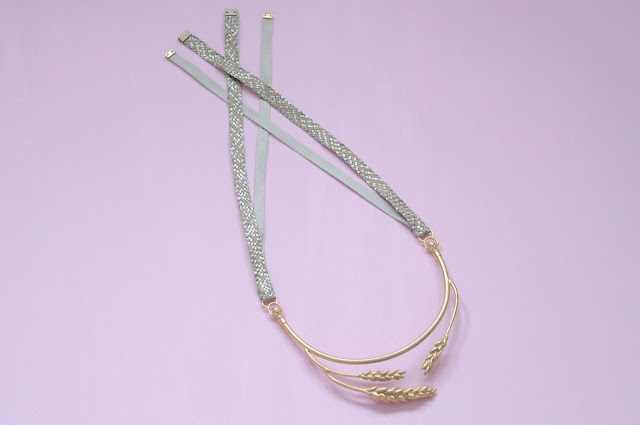 Obsessed with the wheat necklace! Followed on twitter too! I love that wheat necklace... the details are beautiful. the spey ring is wonderful, too. What gorgeous items! I love the Scales necklace. i love the wheat necklace! The Wheat necklace is definitely my fave! Lovely giveaway! These pieces are all beautiful, but the wheat necklace is my favorite! It's so hard to choose between the lion and wheat!!!! All are absolutely beautiful pieces! love the wheat necklace, would look great with a simple black or grey top. Thanks so much for the giveaway! 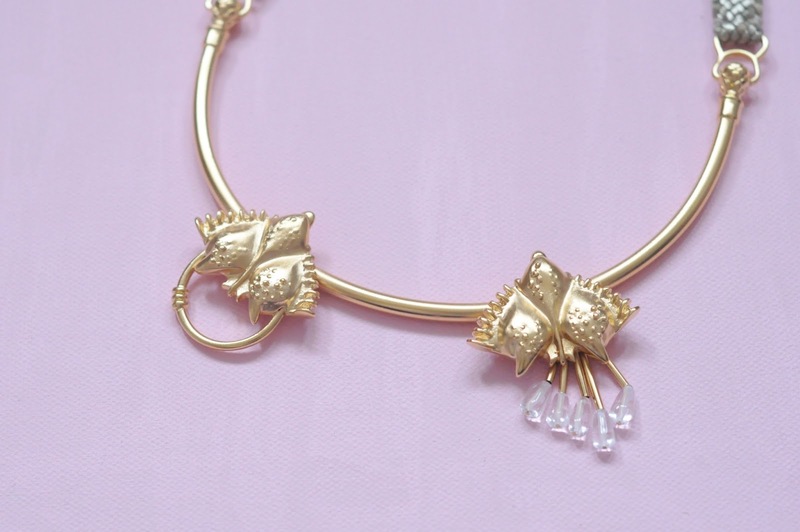 The Wheat necklace is my favourite; beautiful, classical pieces. I love historically inspired jewelry! I think the wheat necklace is my favorite, but I also love those rings. So elegant! Aside from the wheat necklace, I'm quite drawn to the Pector. Thanks for this giveaway! Thank you for all of your wonderful comments! Best of luck to everyone. Remember to follow us on @NHistoriae for an extra entry! Fun fact: For those of you who love N. Historiae rings, the Pector ring made an appearance on How I Met Your Mother not too long ago ;). oh my - i had hoped it would be the wheat necklace! i absolutely LOVE it! just followed them on twitter too! These are so pretty. I think the crustacean might be my favorite. Lovely. I love the Pector ring! All of the necklaces are beautiful, too. Also, I'm following them on twitter, via @naumiriam. Thanks! I am totally into that wheat necklace. I think it's actually my favourite part of the collection! you are absolutely right - this collection is like a visit to the museum. remembers me of all the hours spent at the alte museum in berlin, looking at and drawing the pieces exhibited in the so called "gold room"... these pieces are equally magnificent, luscious and magical, made for queens. not only like a visit to the museum, more like visiting an alternative past, one full of wisdom and peace and the arts being well respected. besides the wheat necklace, i really like the lion one. a melancholic ocean grey combined with pale gold is just so chic. The wheat necklace is still my favourite out of all of them. God, it's so gorgeous. The pieces are absolutely incredible! Along with the wheat necklace, I also adore the Veil. I really love the "Veil" ring. Rose gold is really catching my eye these days. I love all of the necklaces, but I think my fave might be Crustaceans. Thanks for hosting this giveaway! Oh my! The Wheat necklace for sure! Love the Wheat necklace. I know exactly what you mean about the Greek mythology connection - totally Demeter! The Wheat necklace is till my hands down favourite! I'm a prairie girl through and through :) I followed them on twitter too! the wheat necklace is very definitely my favorite! I am enamored with the wheat necklace! Definitely the wheat necklace, what a beaut! I've been in love with the wheat necklace ever since I first laid my eyes on it. So beautifully made! I love the wheat necklace! I think the way it lays is so lovely! Oh my stars. This is so stunning. Your friend is ridiculously talented - I've never seen anything like this before. I think the Wheat and the Scales are my favourite. Fingers crossed x a zillion! These pieces are so regal! I love the crustaceans necklace, just lovely. WOW! 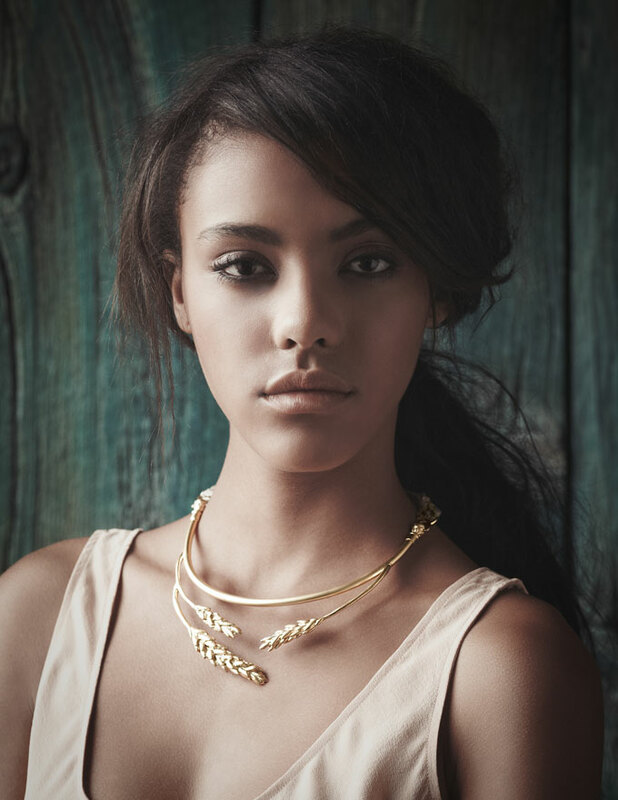 I am in love with the wheat necklace, all the pieces in the collection are absolutely exquisite! These are all insanely beautiful. My favourites are the scales and the wheat necklace. Honestly I can't believe you are giving one away! Wow - the wheat necklace for sure. It really does look an ancient Greek piece! Something Hestia or Demeter would wear for sure. LOVE the Pector ring. So unique! Luckily, it's the wheat necklace. The classical studies nerd in me is lusting so hard! the wheat necklace for sure! I agree that the pieces invoke a feel for mythology.. it makes me want to dig out my edith hamilton! all pieces are unique and very beautiful. The wheat necklace is my favorite, hands down! Love the wheat necklace, but the lion is my favorite. Such an interesting mix of textures. what a gorgeous line. it's all so beautiful. the wheat necklace is amazing. I love it! I would be proud to rock it here in Vancouver!!! hi i dunno if my comment went through when i tried on my phone so if this is a double post please delete it! my name is michele, my email is catora@sbcglobal.net, i followed on twitter, my username is @antiqueantlers! i love the wheat necklace so much! Absolutely stunning items! My favourite is the Lion necklace, however the wheat is a very close second. I love the use of ribbons as a tie, such a unique spin on the classic chain! The soft sea-green and peach colours along with the gold are perfect. Keep up the fabulous work on your blog! Lots of love from Australia. I'll have to go with consensus and say the Wheat necklace is my favourite, although it's a tricky choice. Also followed NHistoriae on Twitter! It's hard to pick a favourite - such gorgeous pieces! I do love the wheat, but also the lion. the wheat necklace is extraordinary! very impressed with this jewelry collection. thanks for hosting this giveaway! The wheat necklace is stunning. It lies on the collarbone so gracefully...like it's floating or hovering. that wheat necklace is gorgeous!i wonder if you could wear it in your hair too! I loved all the necklaces!! I did love the wheat, but for when I was feeling like some seriously elegant bling, I think the crustacean necklace would be amazing! beautiful, I enjoyed looking and them all. Hard to pick a favorite. These are really special! I like the wheat necklace the most, though the rings are great too. They are all so lovely, but I'd have to say my favourite is actually the wheat necklace! This jewelery is so stunning! 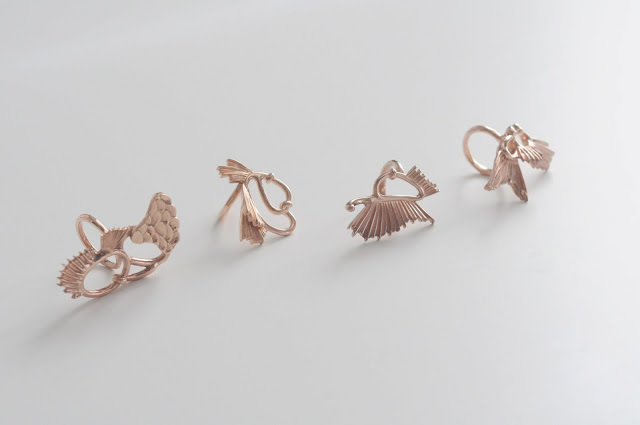 really inspiring, I loved greek mythology as a child, and wrote a little series of my own stories : ) My favourite piece is scales, it's absolutely stunning! The Wheat necklace, beautiful. Good camouflage when hanging out in the Kent (UK) countryside! the wheat necklace is my favourite too! I'm LOVING all of those rings! Though that wheat necklace is stunning! My favourite is definitely the wheat necklace. Amazing! Even though I'm allergic to gluten, I love the wheat necklace! The wheat and the scales necklaces are both amazing pieces. It's just too hard to choose! gorgeous pieces (& models). my favorites are the lion & wheat necklaces. Beautiful work and stunning pieces. Like nothing I've ever seen before. Love it all. Lovely! The Lion necklace is my favorite of the moment. I love the wheat necklace! also, the lion! 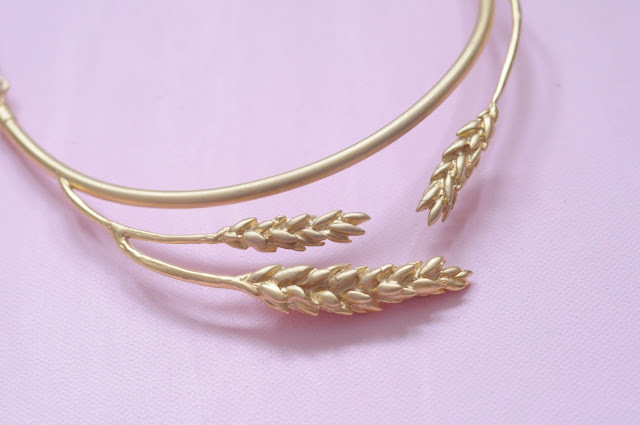 I love the wheat necklace - it would make me feel like a Roman Goddess!! Who knew that wheat would be such a stunning jewellery muse? In other words, the wheat necklace is my favourite. Fingers crossed. The scales necklace is pure artwork. All is gorgeous though. Scales necklace is by far my favourite! The wheat necklace is both organic and luxe. Love! sevnmit@gmail.com. I love the wheat necklace. And the designer's twitter is great. I followed her too. I love the sail ring. The object looks so familiar but at the same time so foreign and magical. It is a beautiful collection. All the pieces are sublime! There's a two way tie for the crustaceans and wheat necklace. So beautiful. Wheat is gorgeous. What a breathtaking collection! Thank you for the giveaway. The wheat necklace is definitely my favorite, but I'm biased due to love of the Persephone, Demeter and Hades myth. I'm amazed by the suede knot manipulation on the lion necklace as well. This collection is so beautiful and unusual. I would love to have the wheat necklace, although the rings are also captivating ('Veil' in particular). Thanks! The Sail ring is pretty great, I would have to say that it is my favourite. I am also digging the contrast between the metal and the ribbons. Very nice. These are really gorgeous and unusual. You're right that they seem like old museum pieces, like something out of an ancient imagination. I really love them. The Wheat necklace is beautiful. My most favorite is Scales. I couldn't stop looking at it. I adore the lion piece! So pretty! I am in love with the lion and wheat necklaces. They're so amazing and they truly look like they will hold up to the test of time. The lion necklace is my favorite. Definitely looks like a museum piece. So lovely. I actually love the Wheat necklace, the grace and flow are beautiful. Thanks for the chance to win! I now follow N. Historiae on Twitter. I'm following you as well! Wow, the Wheat necklace was my favourite when scrolling through your post, and it still is after looking through the beautiful shop! The Pector ring is also very, very nice. the sail ring is so beautiful! What a beautiful collection! The elegant wheat necklace is my favorite. Thank You for the giveaway and for the inspiration! Spector ring is beautiful. Thanks for having this giveaway. Have a good day! All of the collections are gorgeous. I loved the Pector ring. Such a beautiful jewellery collection. Thank you! I also followed N. HIstoriae on Twitter. What a gorgeous collection -- I love everything! But the wheat necklace is my very favorite. I love the Scales necklace! Hello! The what necklace is truly something else. I love the ribbon details. (It reminds me a little bit of a piece I saw in your post from the Met, actually!) I followed along on Twitter as well - it'll be nice to keep up with Flora's creations. Thanks for the giveaway! Ouuuu hands down the wheat necklace is to die for! Finger crossed. Would pair perfectly with my Chanel clogs from the Spring 2012 collection. Oh, I love the Wheat Necklace! It's so simple and beautiful! crying over that wheat necklace! throwback to spending my college years in central illinois. I love the mix of textures. Love the wheat necklace, definetly my favorite!!! !